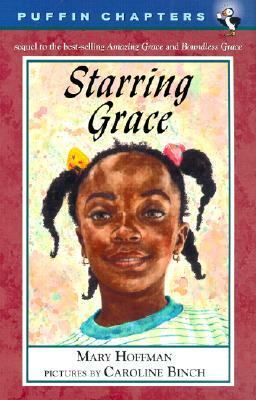 A chapter bookk sequel to New York Times bestseller and finalist Kate Greenaway Medal, Amazing Grace and Boundless Grace. School’s out . . . and of course that means it’s time for fun! Grace and her friends are always ready for a little adventure, and Grace’s backyard is the perfect place to set up headquarters. Suddenly the lawn is transformed into the center ring of a big-top circus, then a rocket launch pad, and then a hospital emergency room! The group’s exploits, both real and imagined, provide all kinds of unexpected rewards—and might even land Grace on an actual stage in a real theater production!